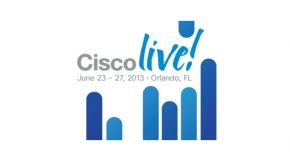 So I have a shot at being part of the Cisco Live Dream Team this summer in Orlando, FL! I received a nomination to be selected as a part of a support team that maintains the network at Cisco Live. Very cool! Part of the requirements to be considered is to make a short video about why I should be selected to join the team. This would be such a great experience to be able to go and work with some of the best in the biz! Although I know I am up against probably hundreds of other nominees in all honesty it's just really awesome to even be considered for something like this and I feel like it just spurs me on even more. Cross your fingers! Looks real good Ike! Wishing you all the luck on this great opportunity!